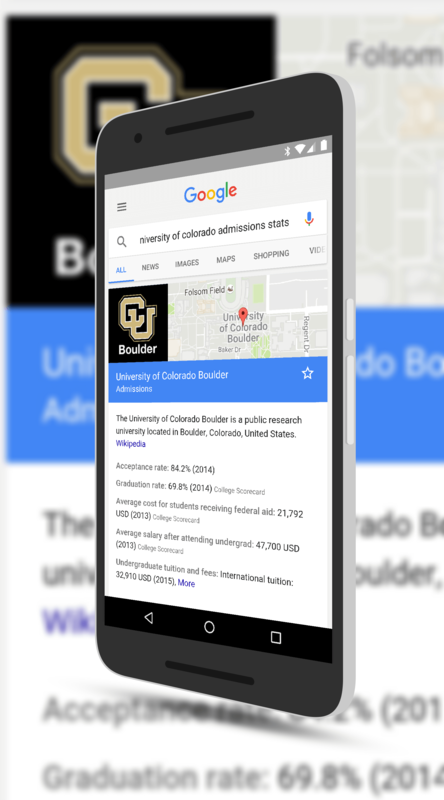 If you go to Google Search on your phone and type in something like “University of Colorado admissions stats”, you will get the admission stats for the university in the results. An example of this is the screenshot in this article. Of course there are links to other data and to the university itself but the idea here is to try to save some time but also save some frustration trying to get to this information. You can read about all of the things that Google is doing around higher education in the post that announced this addition to search. The good news is that this new search information is already in Google Search on your phone. There is no need to update the app as it was all on the back end.